I made this recipe for the first time on my daughter’s 3rd birthday—for its perfectly girly pink color, of course—and it has made a repeat appearance at every one of her birthdays since then, and plenty of times in between. 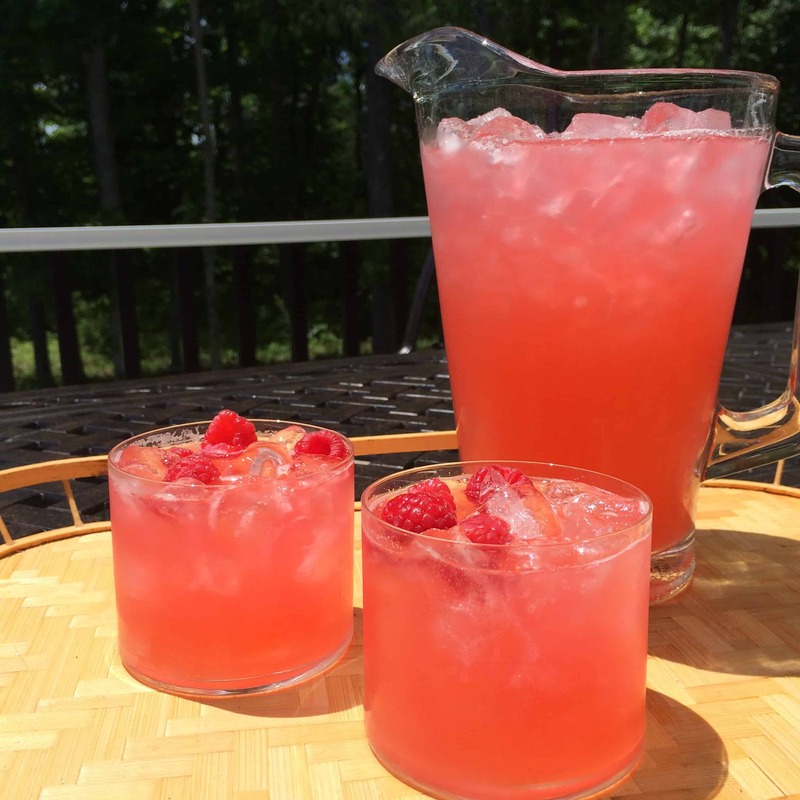 The lemons and the raspberries give it a double dose of lip-puckering tartness, which I love. I even take the sugar down a half cup sometimes, because I really like sour, but this is a more kid-friendly/crowd-pleasing version. Feel free to take it down a notch if you’re on team tart like me. 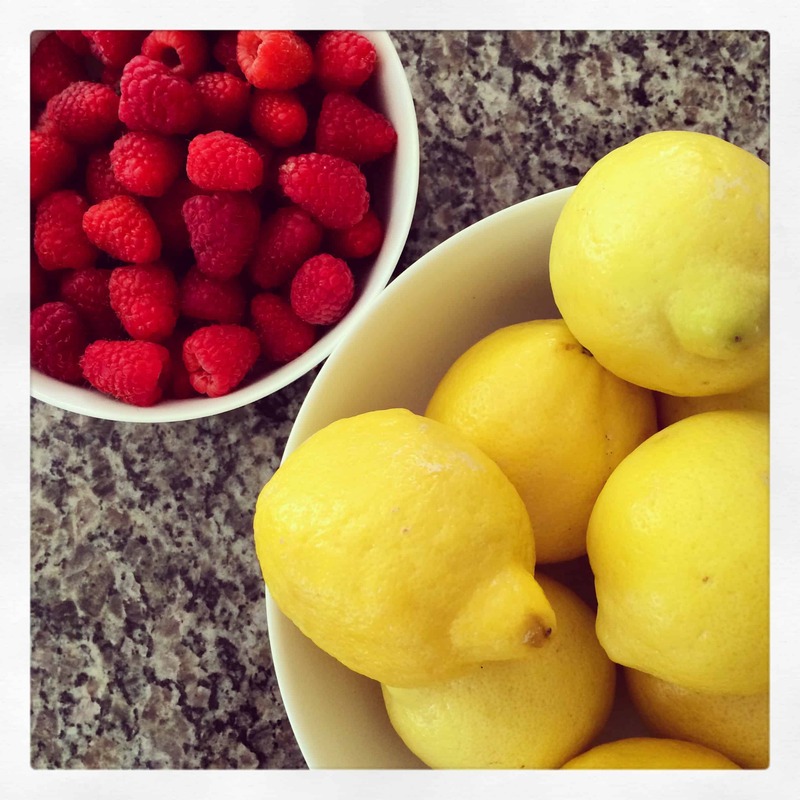 Place raspberries and sugar in a large bowl and squeeze in the juice of two lemons. Stir and let sit for about an hour at room temperature, stirring and squishing the berries occasionally. You can also do this the night before and leave it in the fridge overnight. The lemon juice and sugar will cause the berries to break down and release their juices. Place this mixture in a strainer/fine sieve set over a large bowl or measuring cup and press the berries through–really “squash their guts out,” as my daughter says, to get all the juice out. 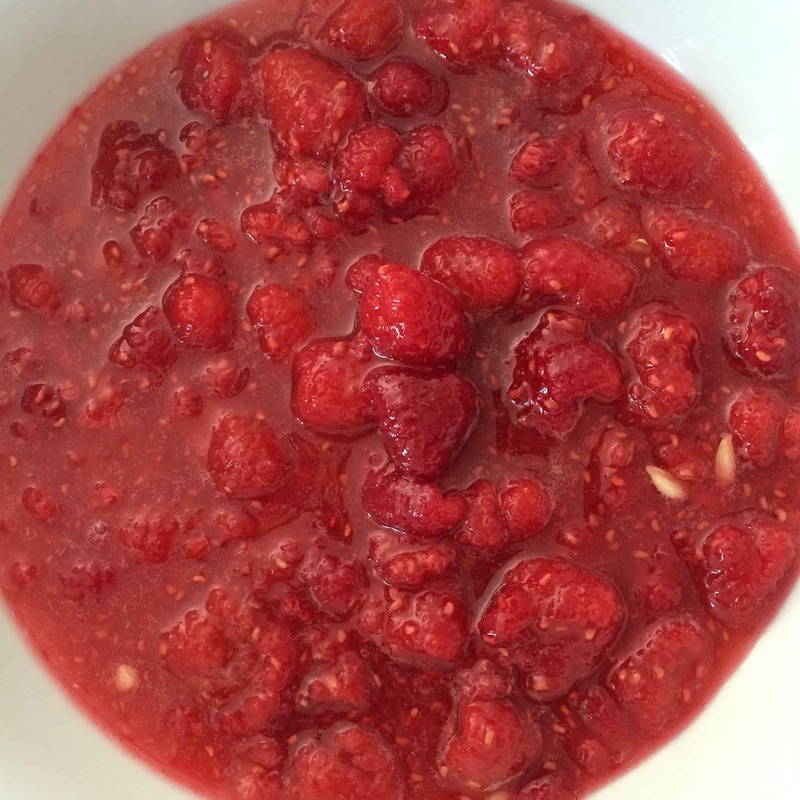 You will be left with about two cups of beautifully red, seedless raspberry syrup. 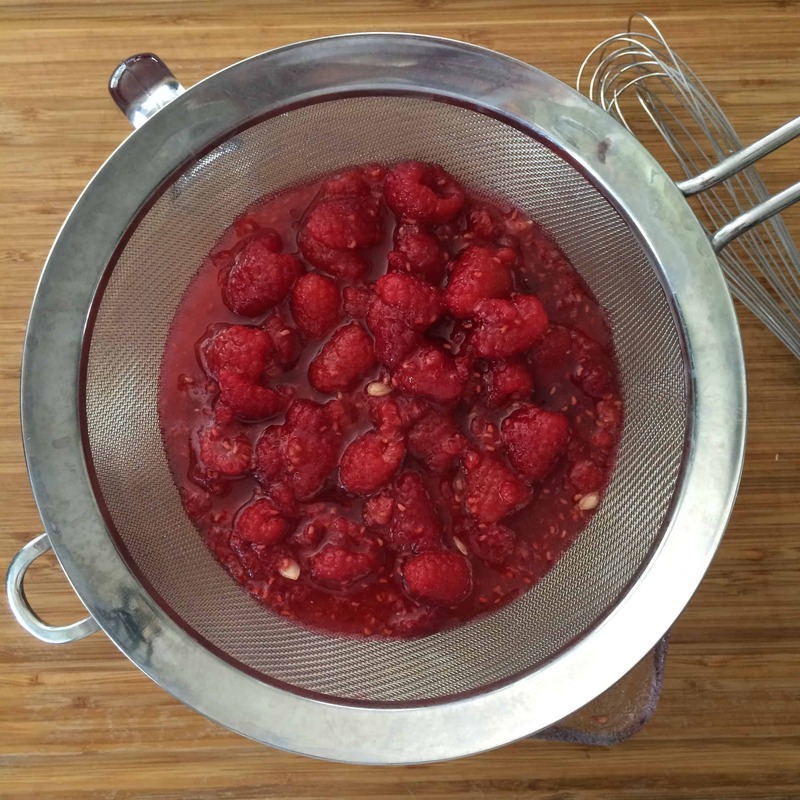 Add the rest of your lemon juice to the raspberry syrup and whisk to make sure the sugar is dissolved. I have two half gallon pitchers, so I divide this mixture evenly between the two and top each one off with cold water. But, obviously, if you have a gallon pitcher just place the entire mixture in and top off with water. Pour over lots of ice, find a nice sunny spot, and enjoy!